“What’s the difference between a military and a civilian physiotherapist?” As a former military physiotherapist, I used to get this question often. Though the answer is “more than just the combat boots”, we do share the same foundations as all Canadian physiotherapists. All physiotherapists graduate from an accredited physiotherapy school or program and we all have some innate desire to improve a patient’s quality of life. But what makes a uniformed physiotherapist distinct? I’ve divided up the differences I’ve noticed into three parts: education, mental characteristics and environmental differences that will highlight the difference between a PT and a PTO. This is the first post in a three part series that illustrates what I found to be unique about being a PTO. The road to becoming a Physiotherapy Officer (PTO) PTO starts with the infamous basic training. From day one, it is ingrained in PTOs that you are an officer first and a physiotherapist second. Runs every morning, weapons training, field craft, weighted marches, and basic military doctrinal training are the norm and emphasized at this point in your career. After basic training, you are sent on what is called physiotherapy preceptorship training. PTOs are just as involved in preventative medicine as they are in rehabilitation. During the preceptorship, PTOs are also required to complete the Physiotherapy Competency Exam (PCE), as well as a few physiotherapy specific courses (like Level 1 Manual Therapy and McKenzie Part A). Further on in our career, additional post-graduate physiotherapy courses like Intermediate Manual Therapy, McKenzie courses, sports training, and acupuncture become the priority for professional development. Being a qualified soldier means that you need to annually renew your core competencies; these include meeting the individual battle task standards and annual fitness testing. Being a PTO means that you must also complete specific military physiotherapy training. Once you’re a qualified PTO (meaning you have completed your preceptorship training and you have had one year of peer mentorship in the clinic), you can start really developing your specialty with more advanced courses! Some PTOs love the athletic training aspect of their role and decide to qualify as trainers for base to international level teams. Others really enjoy research and contribute the development of military clinical practice guidelines. The sky really is the limit! Several of my colleagues were fortunate enough to deploy on the USNS Mercy (a United States Navy hospital ship), be the physiotherapist tasked to the Four Days of Nijmegen Marches, and even deploy to places such as Bosnia or Afghanistan. Each PTOs journey is unique and can potentially vastly differ from one clinician to the next! Out of respect for Remembrance Day around the corner, please take the time to think about the men and women (past, present, and future) who wear the uniform, and who believe in and serve a cause more important than themselves. Lest we forget / N’oublions jamais. I welcome your questions or comments about my post. If you want to know more about the unique challenges of this environment, please feel free to comment below with your thoughts. 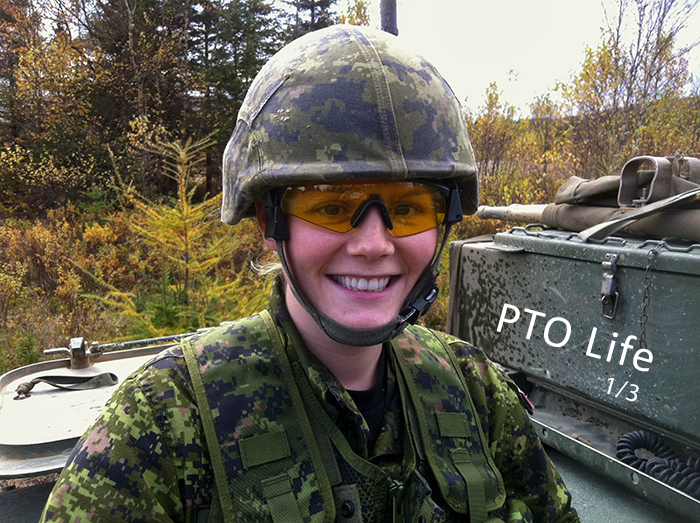 Learn more about military physiotherapists in Canada here. Have you read part two and three? what school did you go to? were you in the military first then you became a physiotherapist? Comments are now closed. Please contact communications@physiotherapy.ca if you would like further assistance.